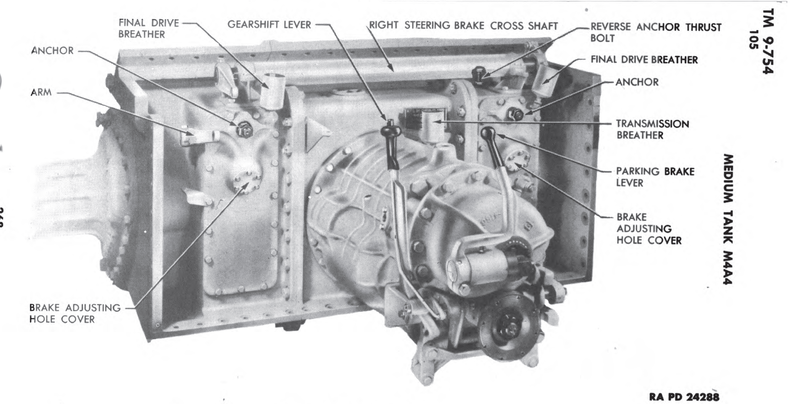 This page will cover the Powertrain as a unit, and there will be links to subpages for the Final Drives, Transmission and Differential. The Sherman Powertrain: So Robust, It’s Almost Russian! Who hasn’t seen the video of the old Russian Russian ISU-152 started up after years sitting out in the elements, something western tanks are not well known for, and the Sherman like most normal mechanical items decays if left outdoors unattended for long periods of time. Granted, all the thick steel on a tank makes parts pretty damn robust, but the Shermans motors are not going to like sitting out unattended, but in some rare cases they can be saved. There was one part of the Sherman that was so robust, that after years of neglect, even years on a firing range, or in use in logging industry, or even demolitions abuse, and still kept on ticking, and it was the powertrain, and many still motivate Shermans to this day. More often then not, the powertrain, as long as it was all sealed up, was in great shape upon inspection during the restorations I’ve read about. The main cause of Powertrain damage seemed to be caused by AP shot going through it. Even as robust as it was, sometimes things wear out, or a mine or AP round damages them, maybe even something as mundane as a traffic accident could damage the powertrain. When it was damaged, or deemed in need of overhaul from driving thousands of miles, it was very easy to swap out, and unlike the Germans, the US produced a lot of spare parts. 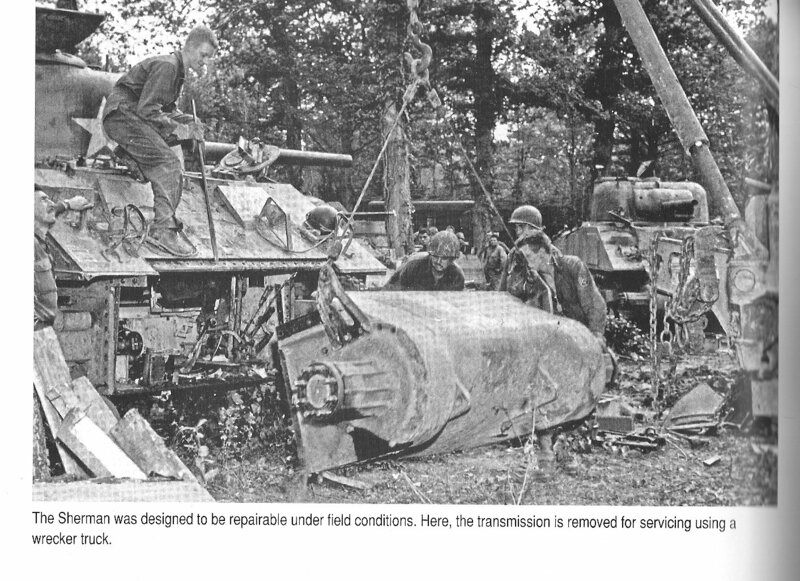 Salvage teams probably pulled the good powertrains out of badly damaged Shermans as well. To replace the whole thing, the crew just had to unbolt it, and get a wrecker or ARV to lift and move it away from the tank. The Powertrain did go through some changes, it wasn’t perfected on the Lee, or even the first Shermans, but even imperfect it was damn good. 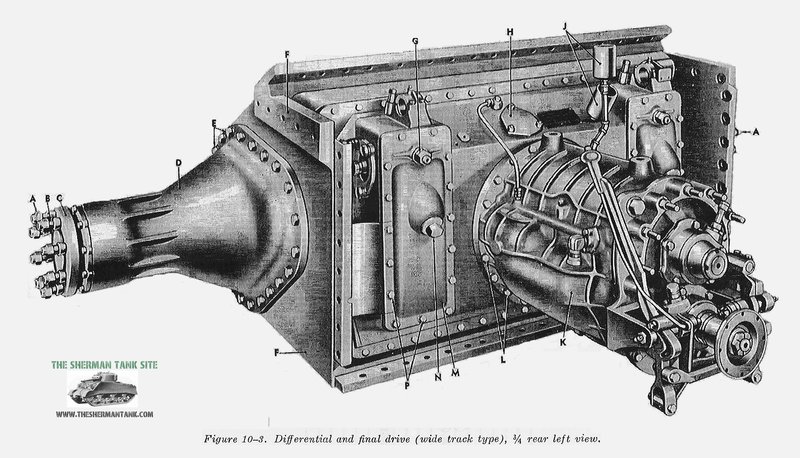 The first version, used on Lees and then improved slightly for use on the early Shermans, used a differential that bolted together, in three pieces, and included a three section armored cover. 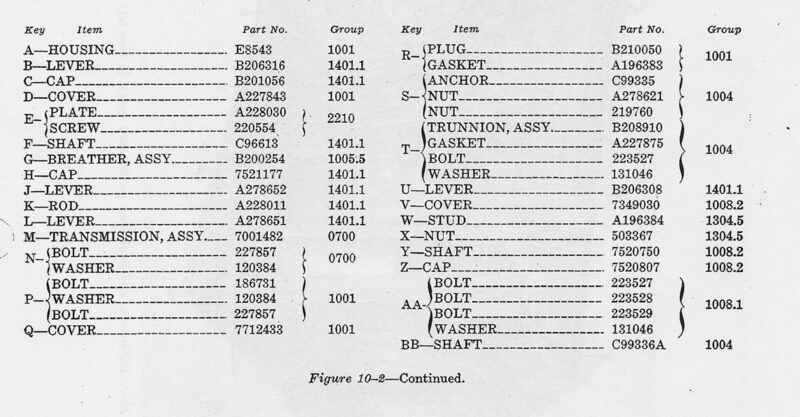 There was nothing really wrong with this powertrain, other than it was more labor intensive to produce. You can see this type, its the first image on this page, from the inside. They came up with an improved version that had a one piece cast armored cover, and the interior side also had a large single casting the transmission and brake covers bolted to. You can check out the differential in the image directly above to see the cast version. This version was slightly less robust than the three piece version, though the gear set remained the same. Another thing to note about the powertrain is, at least where US Military Shermans are concerned is the final drives, came in two types, the VVSS and HVSS type. Up until I saw the diagrams in the Final Drive section did not I realise they just didn’t change the offset of the Sprocket or use a spacer or after widening the sprocket with a weld in spacer. As far as I know, no update done to the Sherman post war modified it’s powertrain. The design was robust enough to handle the extra weight of all the modifications with little extra wear. 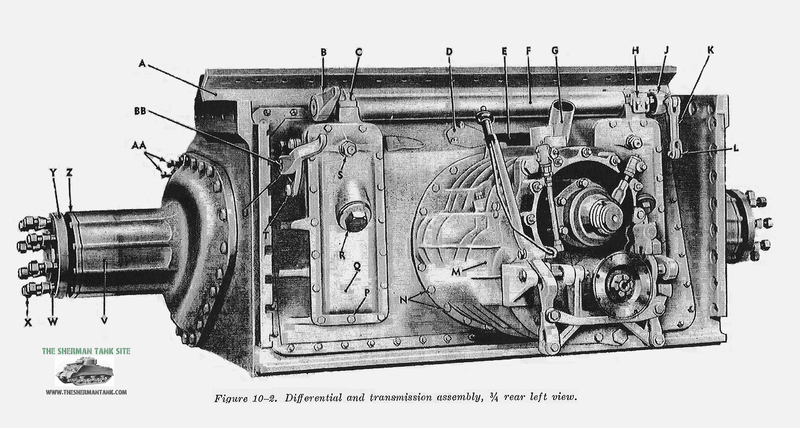 Early powertrain being removed from an M4A4. This powertrain came apart into three separate pieces for servicing. The same powertrain as above, but from the inside the hull side. 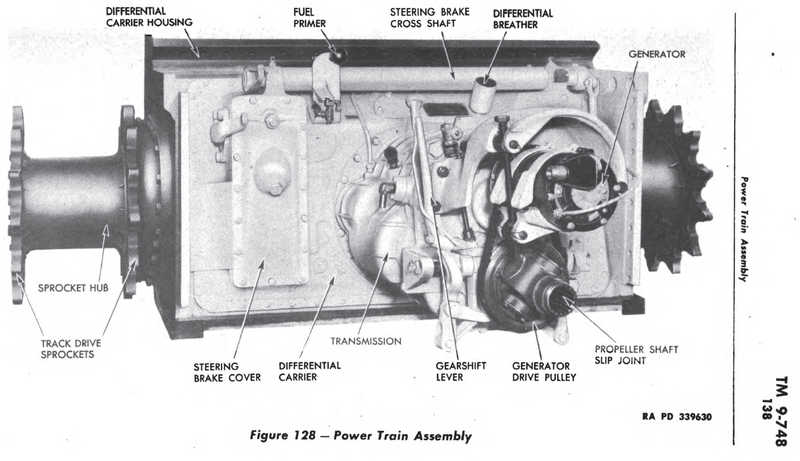 This image shows a late M4A3 powertrain. 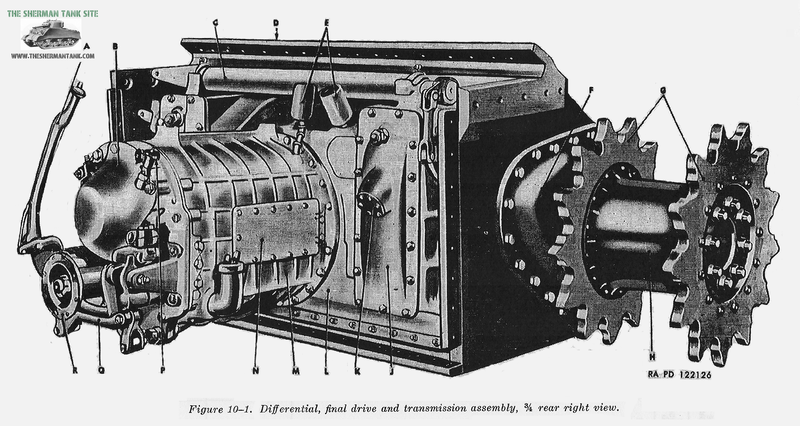 You can click on the powertrain image for a much larger version. 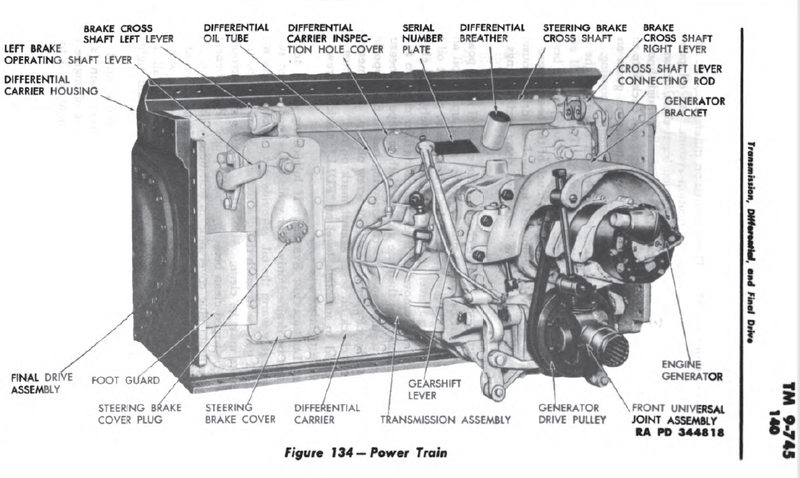 The image shows the other side of the powertrain, click for a larger version. You can see the large, easy to get to ports for the brakes in these images. 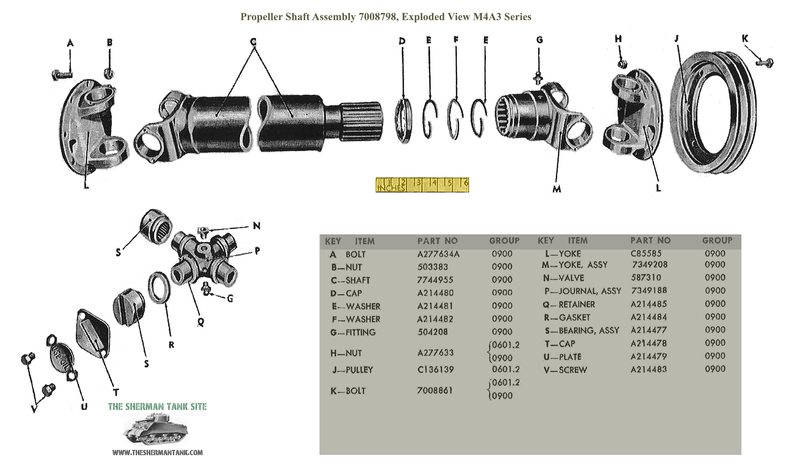 This image shows the HVSS final drives, the only difference appears to be the final drive housings, and longer shafts. 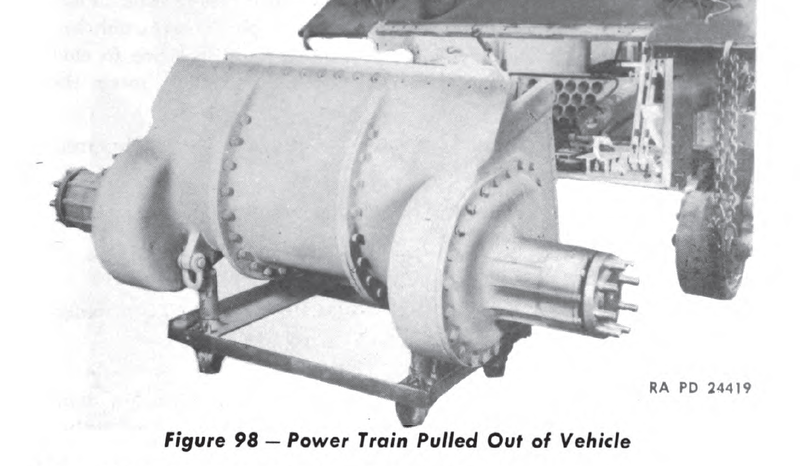 This is the late model powertrain out of a M36B1, but is the same as the ones used on M4A3 tanks, with the generator being located in different places on different models. The Sherman Differential: Normally just Lumped in with the Final Drives.